What would it look like to have the help you needed without having to leave your home? What if your loved one never had to worry about moving from the place that is filled with so many of their most treasured memories? With #1 In Home Care L.L.C. 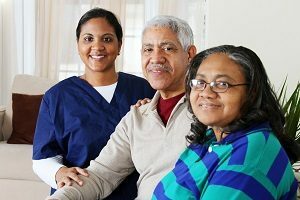 in New Orleans, it is possible to get the non-medical, in-home care you or your loved one needs, right in the comfort of your own home. We offer housekeeping services to help ensure that what you need accomplished gets taken care of. From cleaning dirty dishes to laundry and light cleaning, we believe in giving you an opportunity to sit back and relax as we take care of the more challenging tasks you may be faced with. Making you our top priority, it is our goal to not only assist where needed, but to make your life simple and more enjoyable. It can be hard to maintain your home. Understanding the challenges that many seniors face, we believe in providing the right care at the right time in the the right place — your home. Customizing our care plan to meet your needs, we go above and beyond to deliver senior care in a compassionate, honest, and friendly manner. Providing trustworthy care from a team who specializes in household duties, our assistance is tailored to your specific needs. For more information about the housekeeping assistance we provide or to talk with one of our in-home care providers, get in touch with us today.